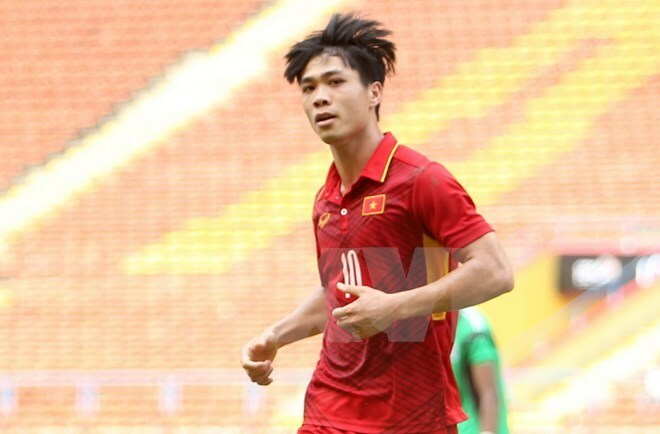 Kuala Lumpur (VNA) – Vietnam’s U22 football team defeated Cambodia 4-1 at the second match of Group B at the 29th Southeast Asian (SEA) Games in Malaysia. The Vietnamese players scored one goal in the first half and three others in the second half of the match. Cambodia earned one goal from a penalty at the last minutes. With the second consecutive win, U22 Vietnam are leading Group B with six points. They are scheduled to play against the Philippines on August 20. Group B includes Vietnam, Thailand, Indonesia, Cambodia, Timor-Leste, and the Philippines. The same day, Vietnamese female footballers also secured a 3-0 victory against the Philippines.